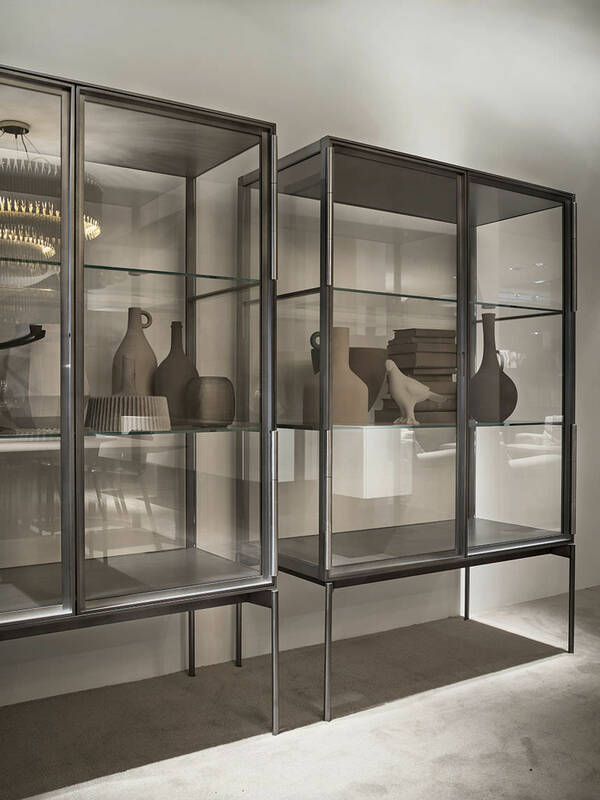 Galerist is named after the way objects are exhibited in space: a cabinet, designed from a classic inspiration and reinvented to become a contemporary furnishing and design unit. 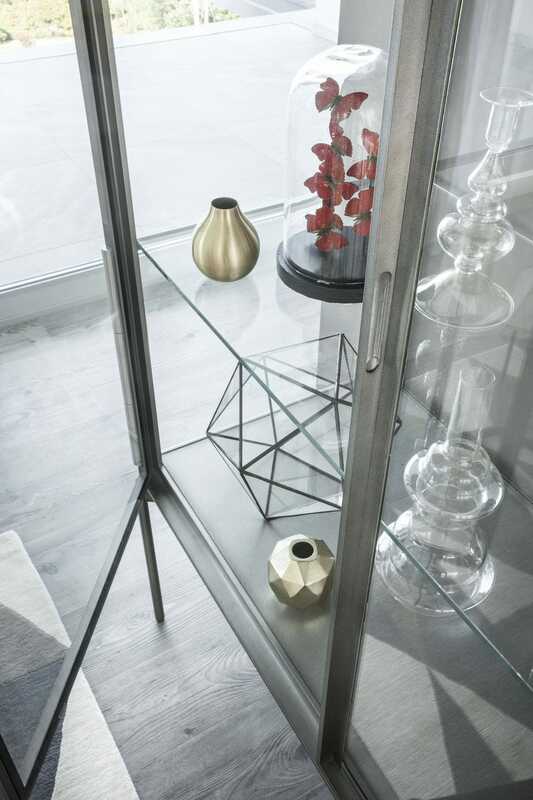 Pillet profits from glass at 360° as to provide for a scene where to exhibit objects and memories, as to appreciate their value, wherever you are. The four walls, in fact, are in extra-light glass, offering a complete view on the inside. The door hinges are a function but aesthetic design detail as well, in treated metal to get a full and deep colour. 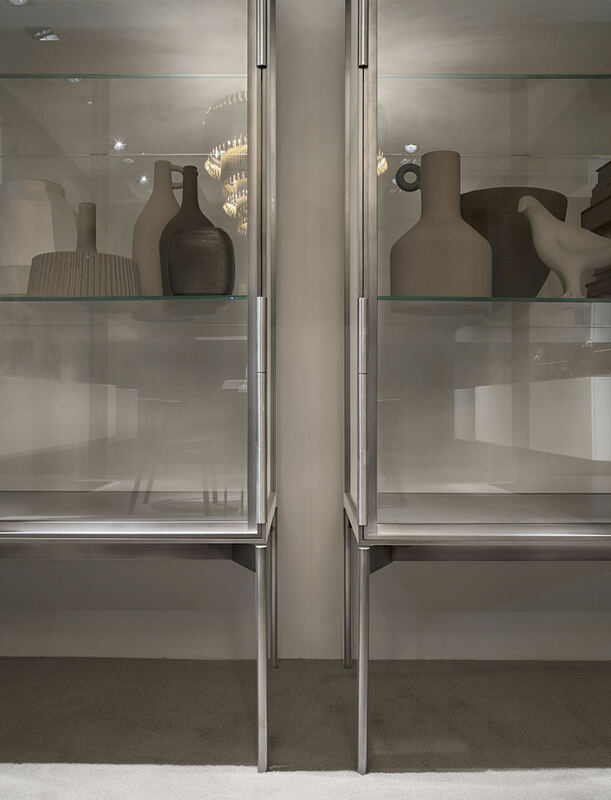 The small window frame is in aluminium, with welding duly studied to make the object standing out. 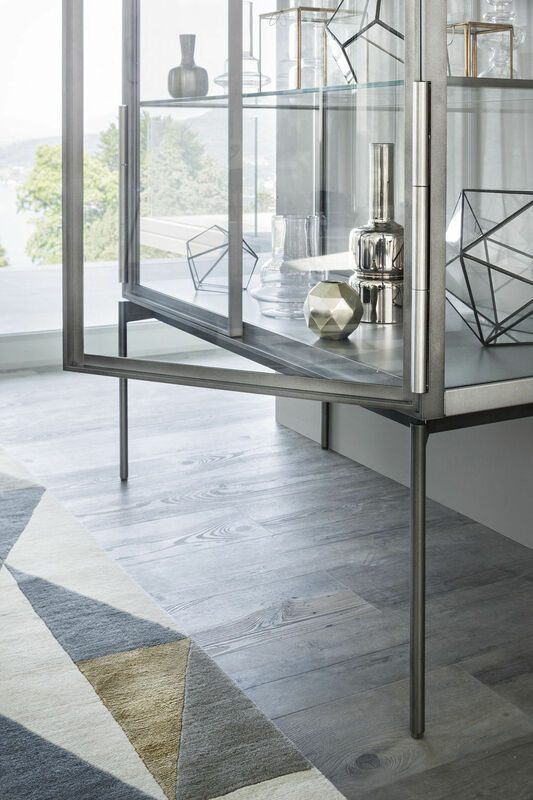 The project is finely made according to handicraft techniques and therefore extremely luxurious still discreet and informally linear at the same time. 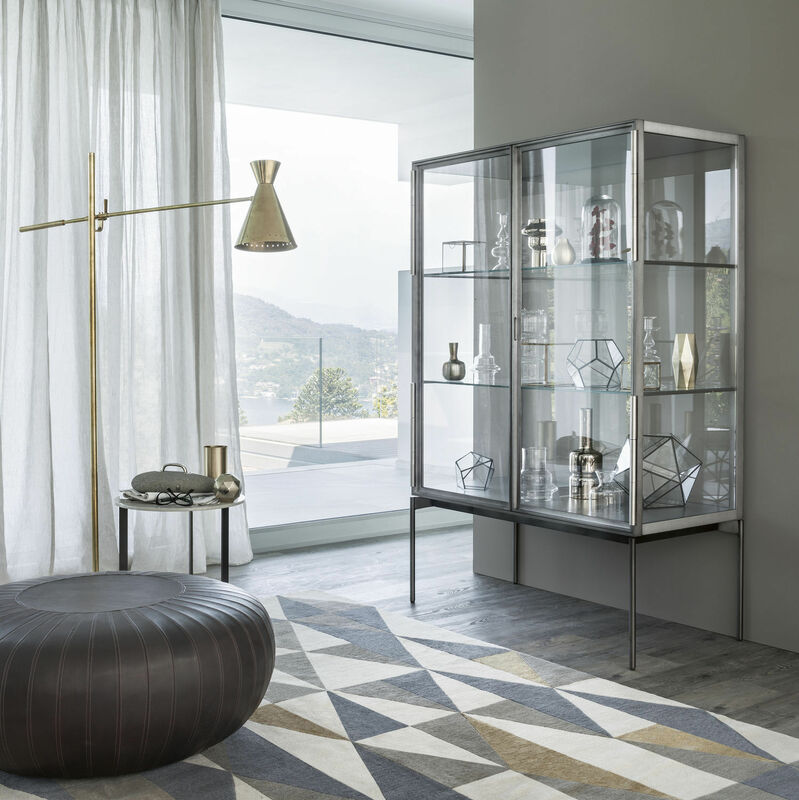 Galerist is a perfect example of the Lema’s style, a ‘Made in Italy’ aesthetic that expertly mixing innovation and tradition and turning quality and personalisation into its unique selling point. Lema’s strength lies in its extraordinary manufacturing ability and typically Italian excellence, that have allowed the company to combine the values and technological efficiencies of a large enterprise with fine and unrivalled craftsmanship, by utilising the skills and professional abilities typical of the Brianza district.